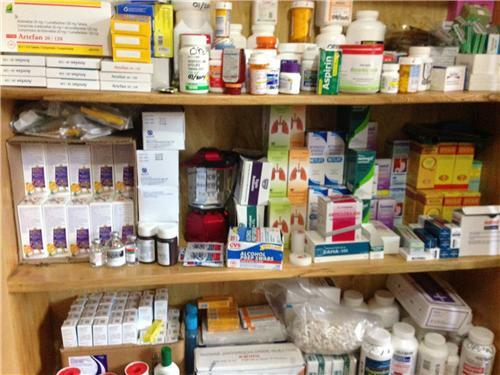 Chemist shops in Mehsana are a quite instrumental part of its health care services. There are many large medical stores in the city to cater the demands of medicines, surgicals, and other medical equipments. These medical shops are located in all key locations of the city. Some of these stores are located near to the big hospitals and remain open for 24 hours a day for providing medicines and medical supplies to the patients in times of emergency. Contact details of these medical stores in Mehsana are also available easily to contact them for any emergency need of essentila drugs, injections, surgicla equipments, etc. Here is the complete list of all chemist shops on Mehsana along with their addresses and phone numbers so that you can easily reach them whenever required. With the help of this list, you can easily find any medical store located near to your place or contact any of them for any medical emergency in Mehsana.